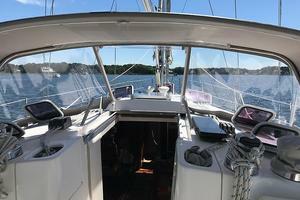 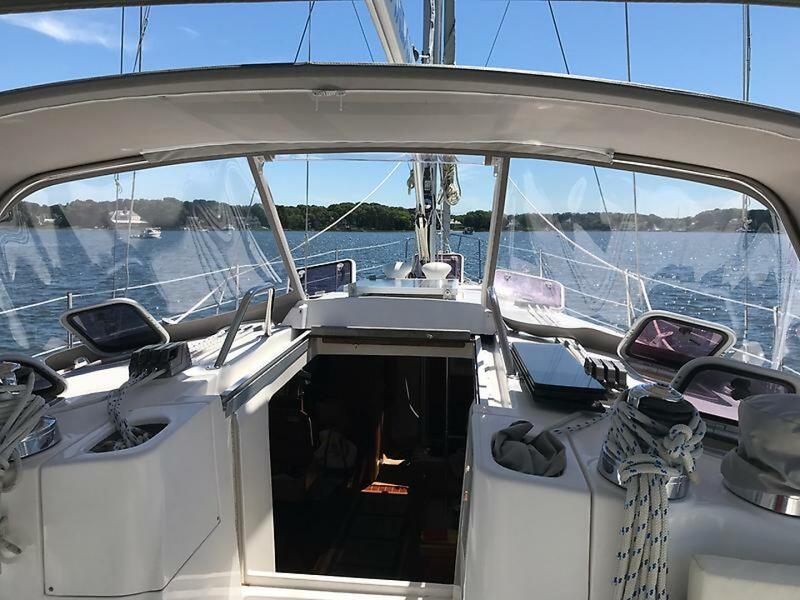 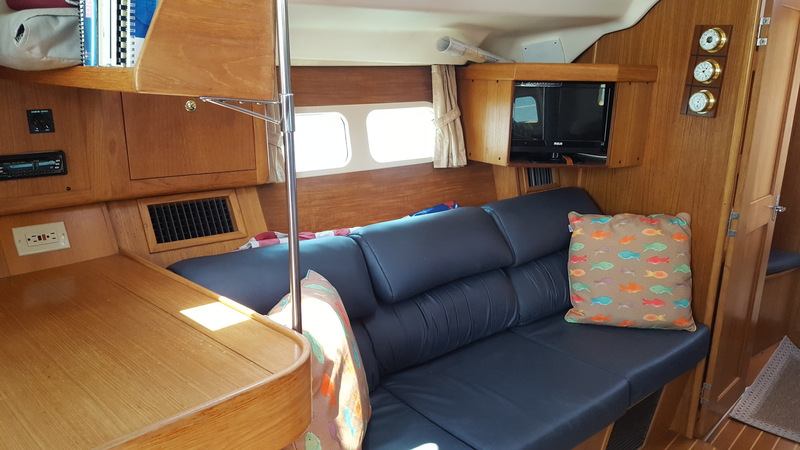 This Hunter 410 Cariad is a spacious and comfortable cruiser. 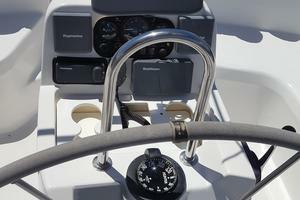 Hunter is backed by over 25 years of experience, with the 410 being one of the most popular boats they made. 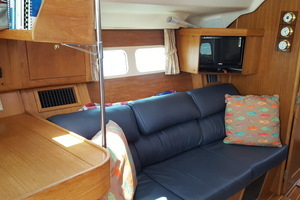 Cariad comfortably sleeps seven in two staterooms and the salon table that converts in to an extra double berth. 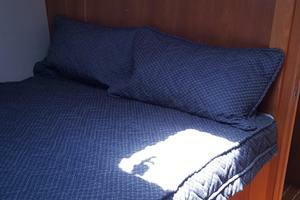 She was recently outfitted with new mattresses in both state rooms and new interior cushions. 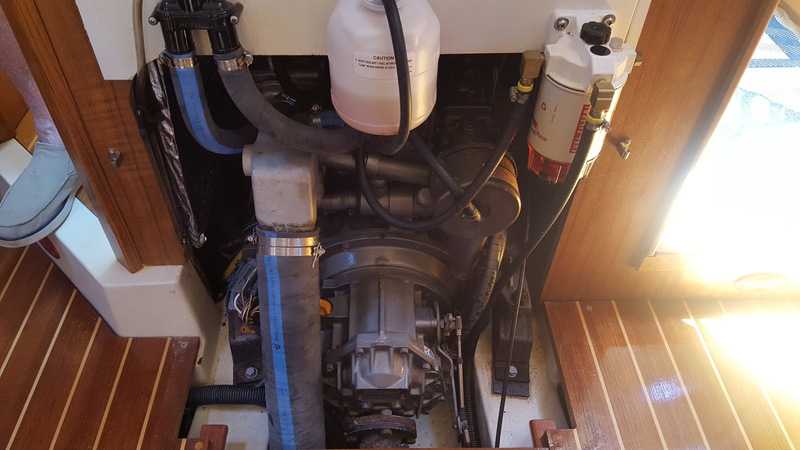 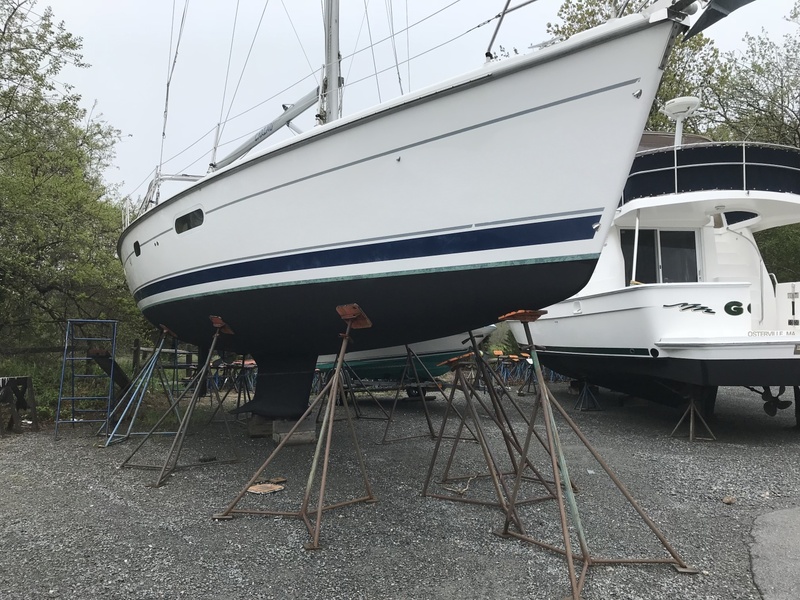 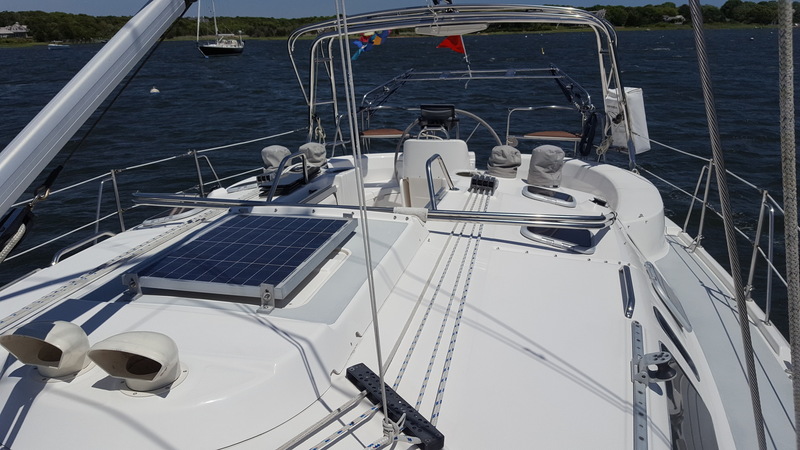 Cariad is a clean well outfitted Hunter 410. 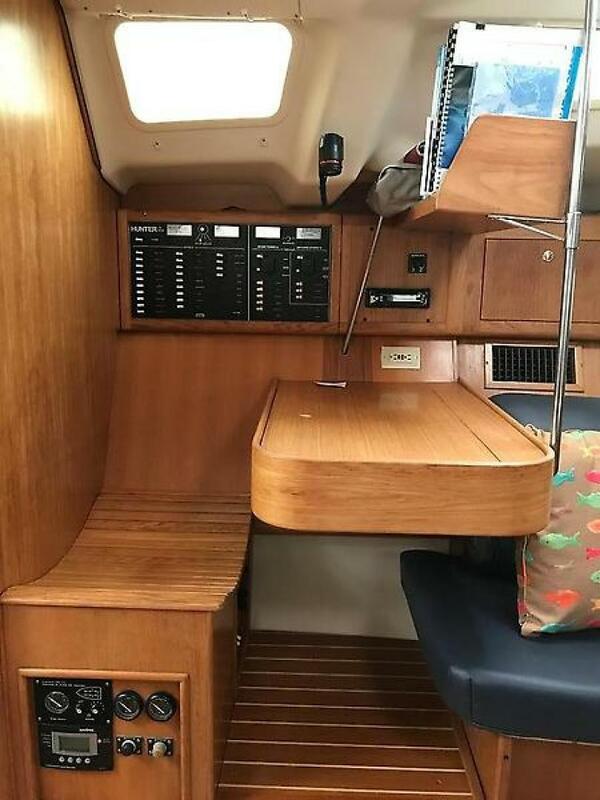 The Hunter 410 has a spacious cockpit that allows for easy access to side decks and aft to the swim platform. 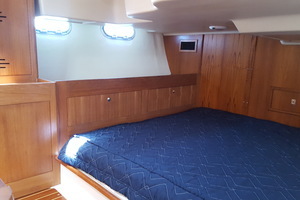 Down below, the cabin is spacious with numerous windows that provide natural light and ventilation. 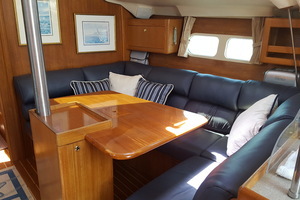 The cabin features a teak and holly sole and new salon settee cushions. 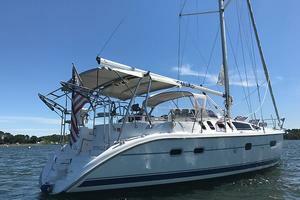 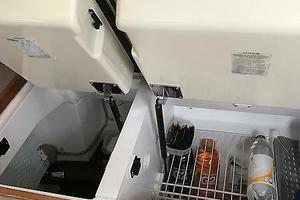 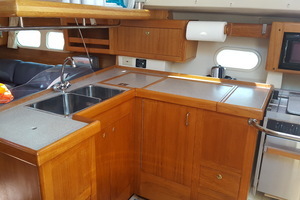 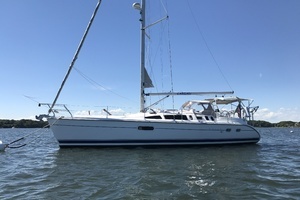 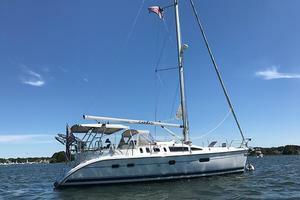 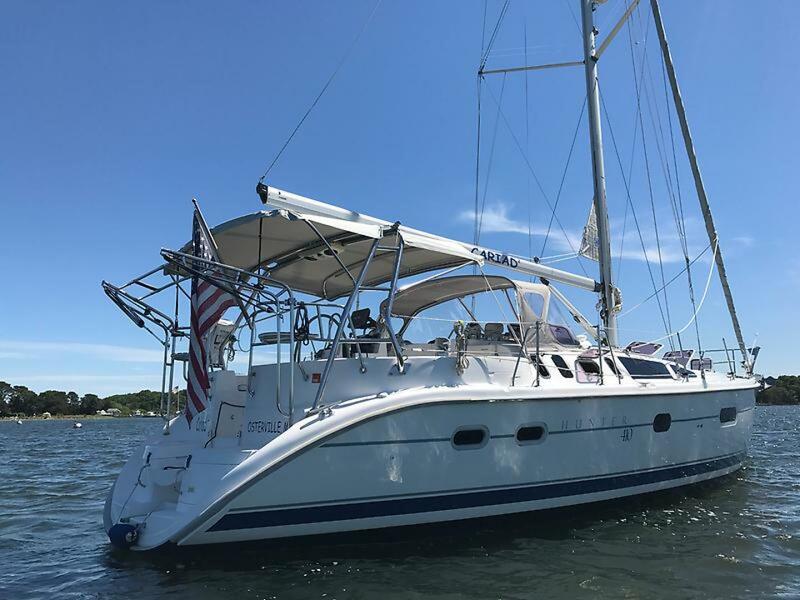 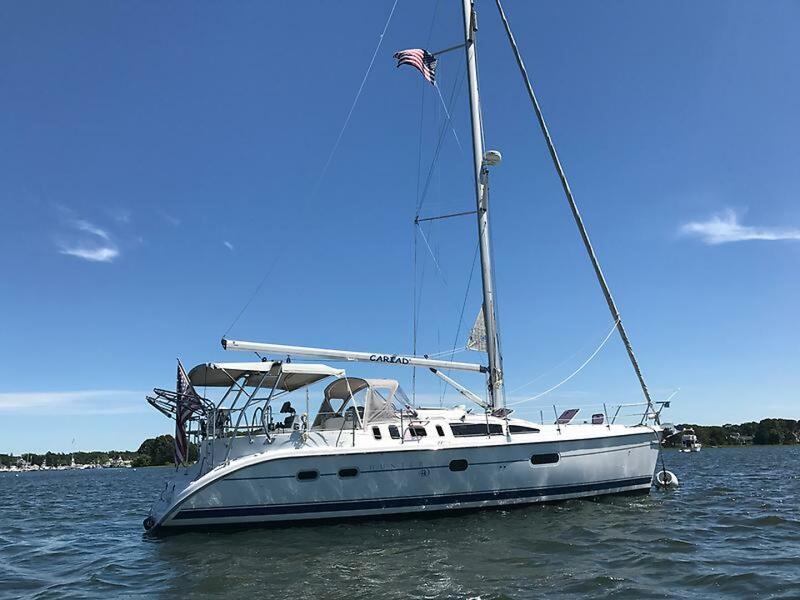 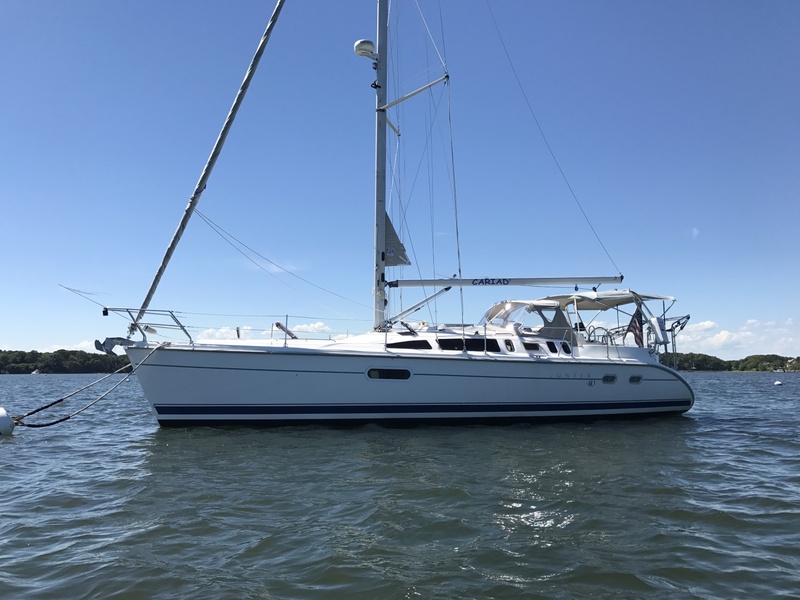 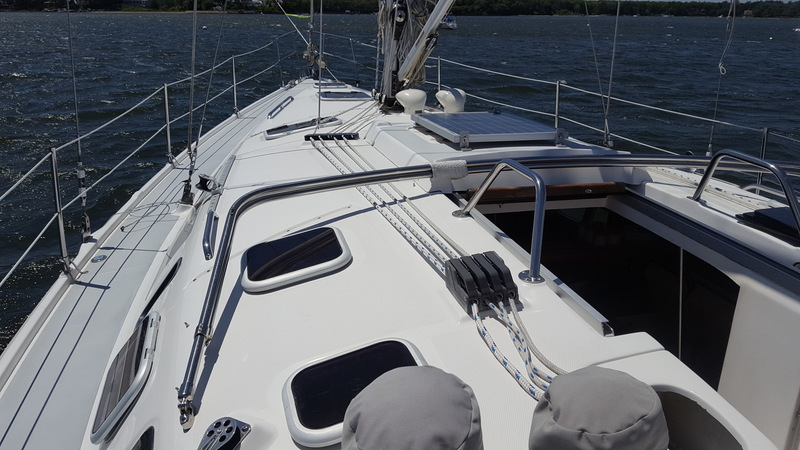 The galley to Starboard has a Force 10 3-burner stove, Kenmore microwave, 12v Adler-Barbour refrigerator/freezer, and a double stainless steel sink. 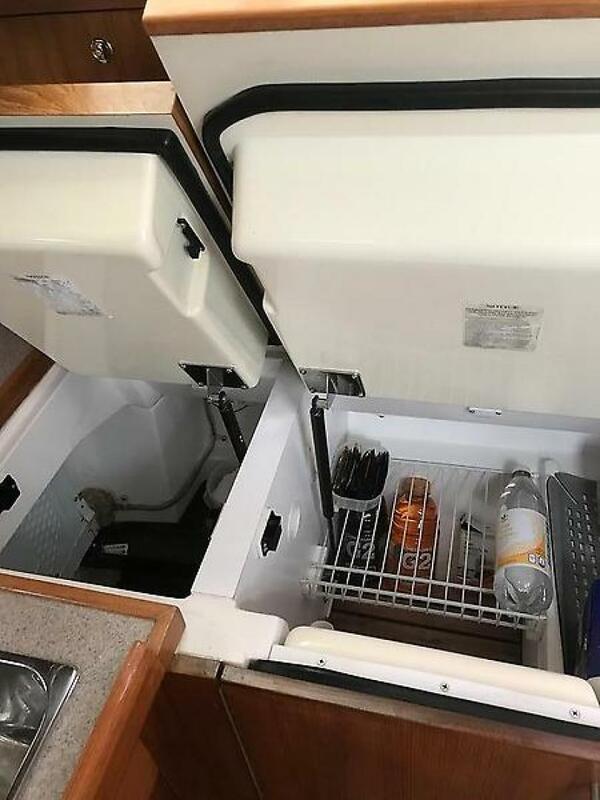 There are plenty of storage shelves and drawers. 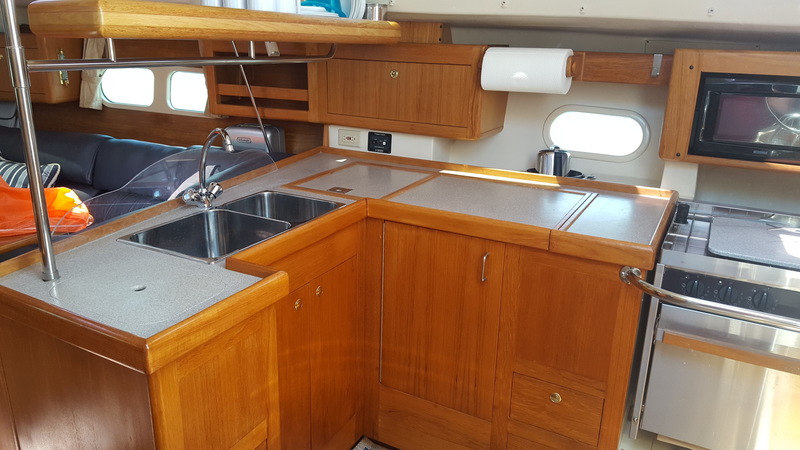 The Corian counter tops are also lined with teak. 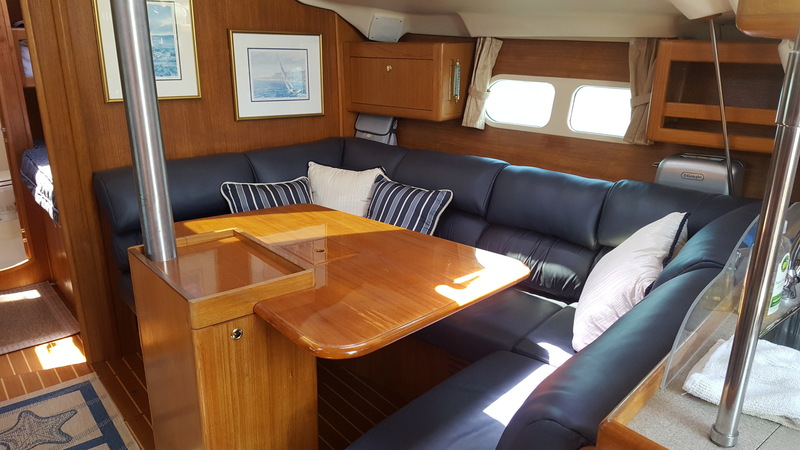 Forward of the galley is the salon that features a large teak table and c-shaped settee that seats 8 on starboard and a settee to port. 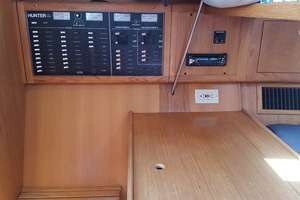 The salon is full of lockers, cabinets, and storage under the settees. 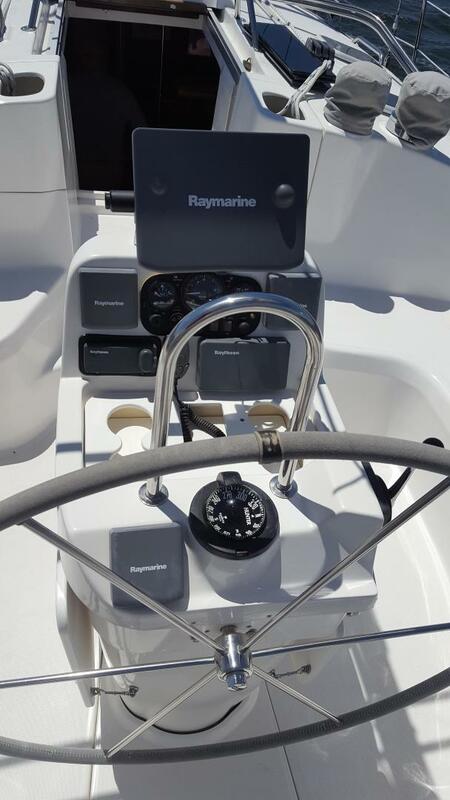 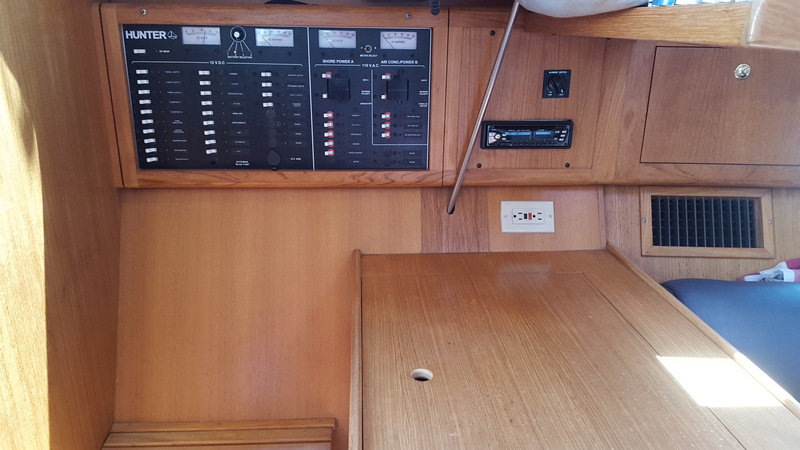 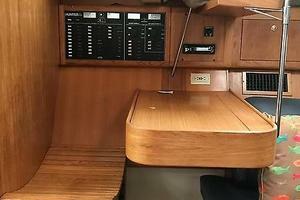 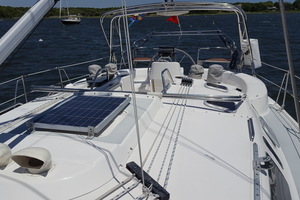 The navigation station is to port aft and consists of a teak chart table with electronics and electrical panel. 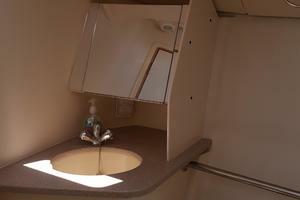 Aft is the large master walk through stateroom with a queen size berth, hanging lockers, and an abundance of storage. 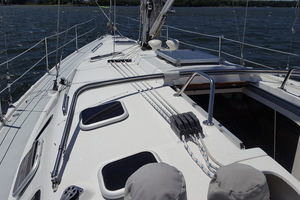 There is direct access to the aft head which can also be accessed through main salon. 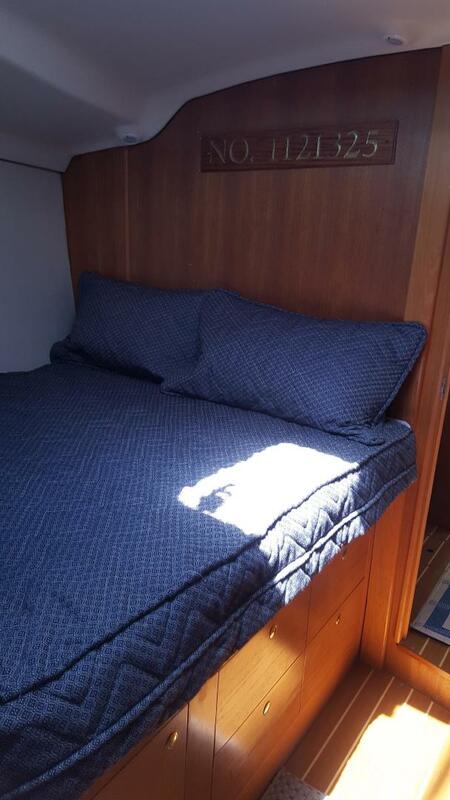 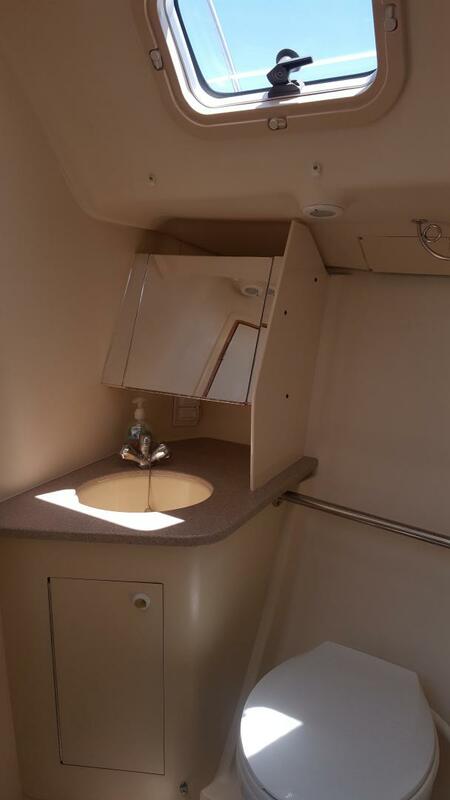 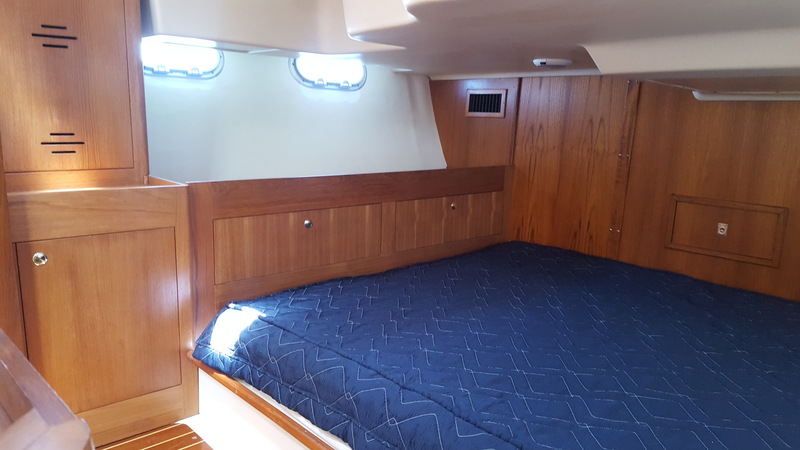 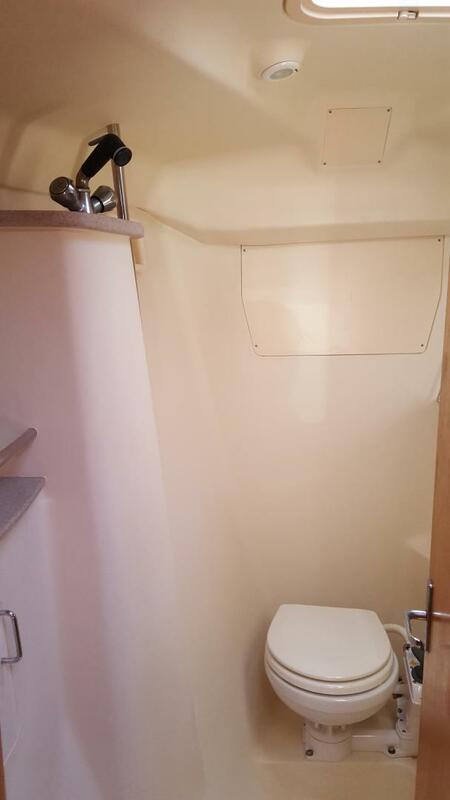 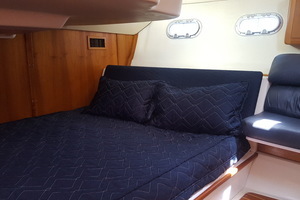 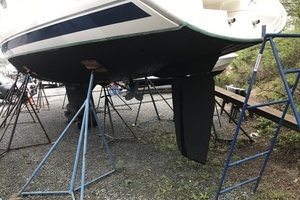 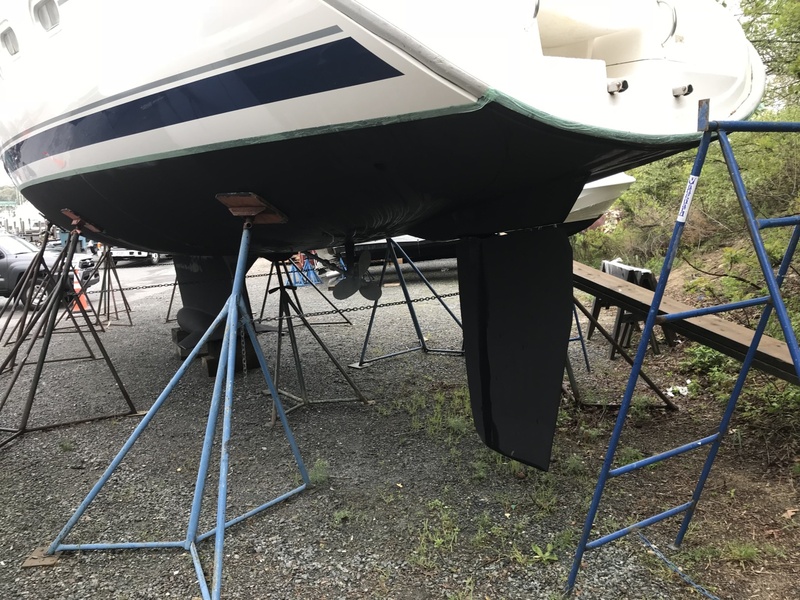 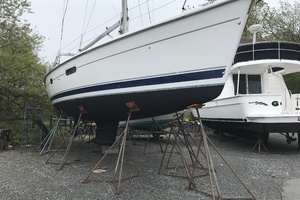 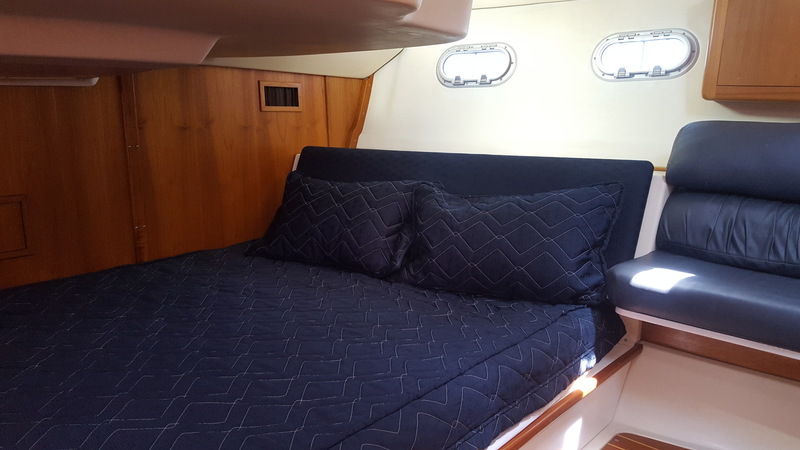 The forward guest suite has a queen size berth to starboard with storage drawers below the berth and shelves for storage on both port and starboard. 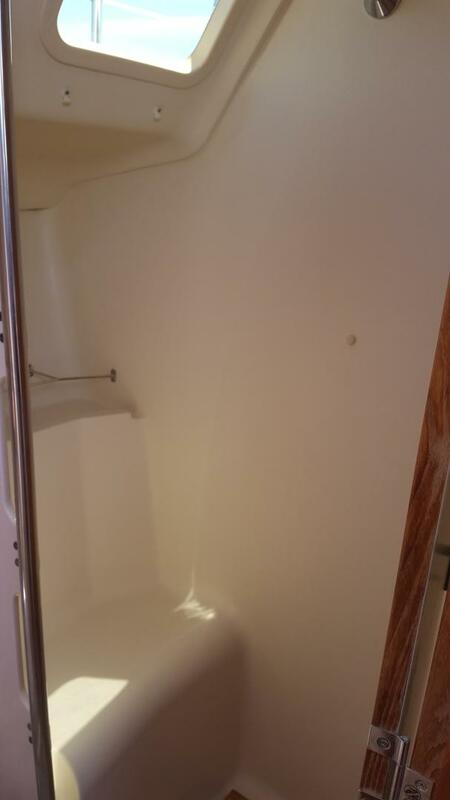 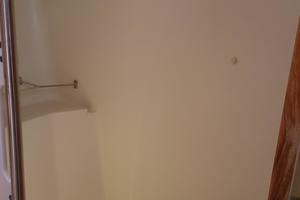 The head is forward in the guest suite. 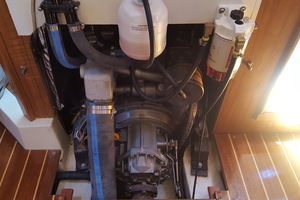 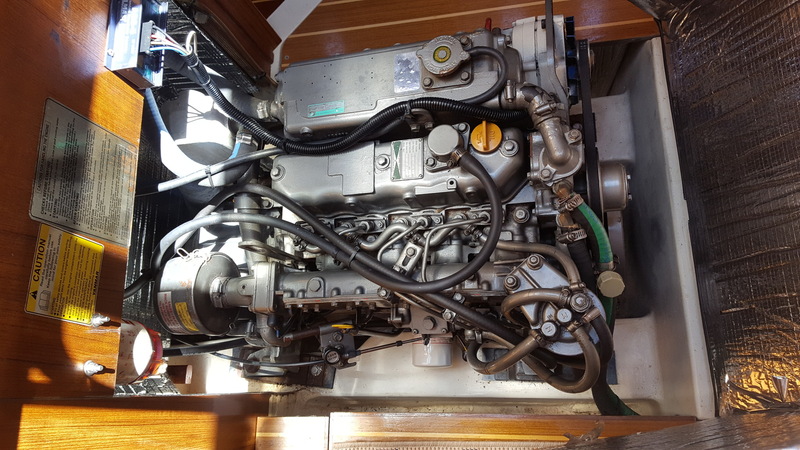 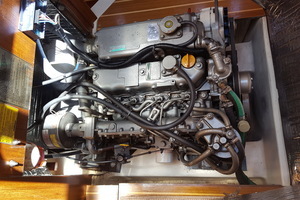 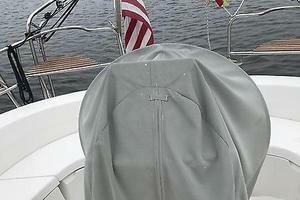 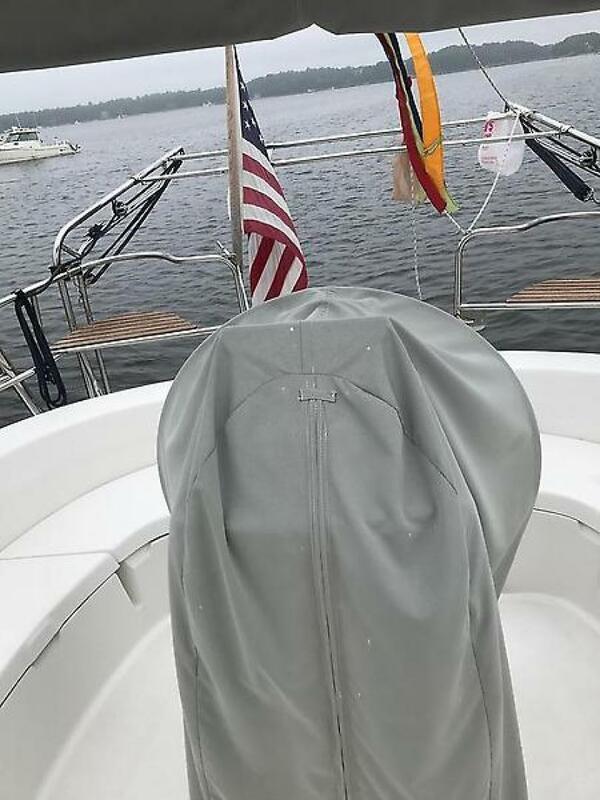 The heads are both equipped with manual marine heads with macerator pumps and automatic shower sump pumps.